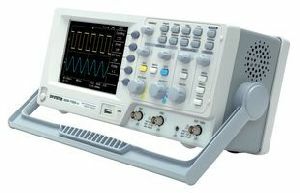 Radical Scientific Equipments Pvt. 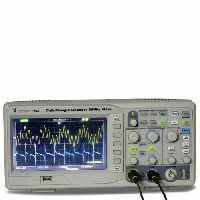 Ltd.
Digital Storage Oscilloscopes - Economy, Bandwidth 50100MHz, Compact Oscilloscope, 7” Colour Display, 500MSas Realtime Sampling Rate, High Resolution TFT Display, Built in Multimath Function +, –, ×, FFT, Large no. of Auto Measurements (32 nos. 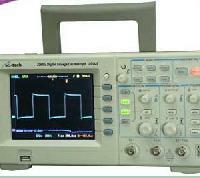 ), Triggering Modes : Alternate Edge Pulse Slope Video, 20 Waveforms and 20 Setups can be stored. 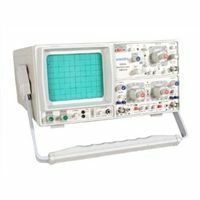 We offer high quality analog and digital oscilloscopes that find application in various fields like educational institutes and research centers. 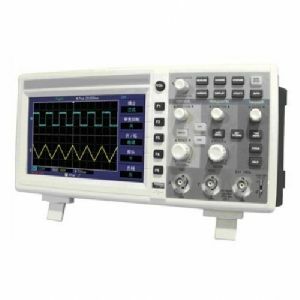 Our highly sophisticated and high performance oscilloscopes are much in demand in the market and are preferred over similar products from our competitors. 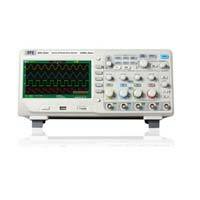 The oscilloscopes are precision engineered to provide error free measurements. 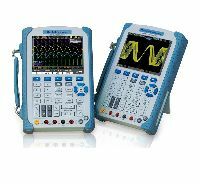 RTO oscilloscopes combine excellent signal fidelity, up to 16-bit vertical resolution and high acquisition rate in a compact device format in the 600 MHz to 6 GHz class. 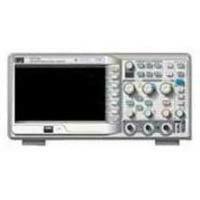 We are offering siglent digital oscilloscope. 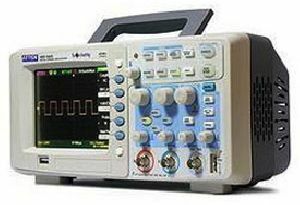 siglent • bandwidth: 70mhz, 100mhz, 200mhz, 300mhz (various for different series). • real time sampling rate: 2gsas and 1gsas. 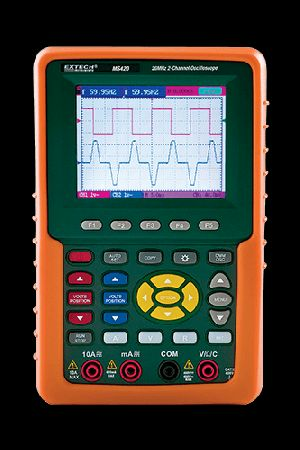 • provide 24 analog channels, 8 digitalchannels (optional). • interface: usb host(support usb-gpib), usb device, lan, ext trig, aux(trig outpassfail). 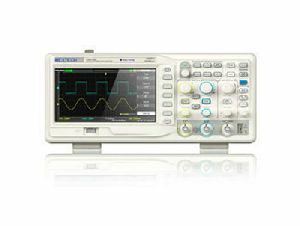 • unique digital filter and data recorder function. 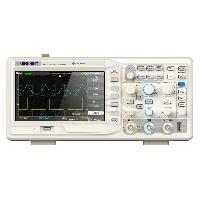 The JC Series Digital Oscilloscope was designed and produced by high accuracy electronic components and modules. The test accuracy is world high class. 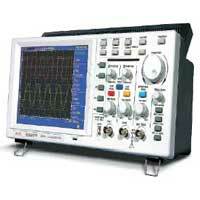 It is used in all kinds of electronic products testing. 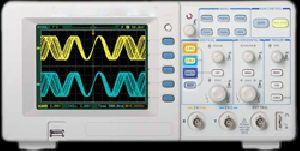 The frequency bandwidth ranges from a handy 20MHz to the high-end of 250MHz. A 1GSas real-time sampling rate and 2, 000, 000 points of memory depth can sample and hold complete signals in order to preserve accuracy. PC interfaces, such as USB, GPIB, RS-232C, and printer ports, are integrated to satisfy the needs for data transfer and remote control application. USB flash and SD memory cards are also supported. 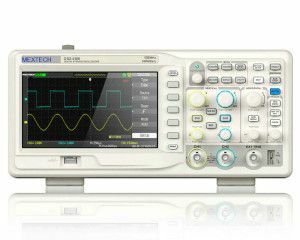 Features Dual channel, 25MHz analog bandwidthChannel. 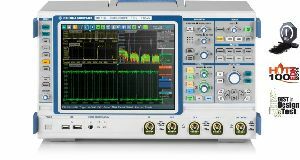 100MSas Real-time sample rate of each channel, single collection in analog bandwidth. 25kChannel memory depth. High resolution display system, 320horizontal Ã—240 vertical pixels Auto-setting. 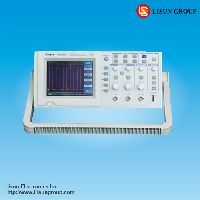 Auto-measure and cursor-measure many kinds of parameter of waveform. 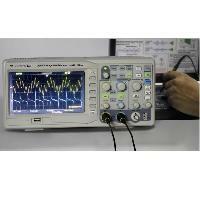 We are offering digital storage oscilloscope available from 20mhz to 2 ghz. 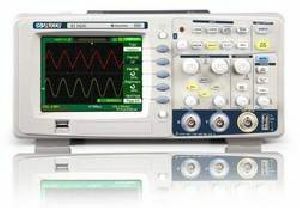 we also deal with spectrum analyzer and functun generators of reputed makes. 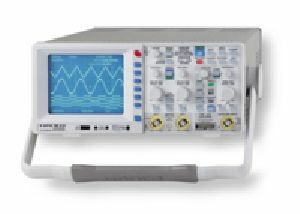 Mars Edpal Instrument Pvt. 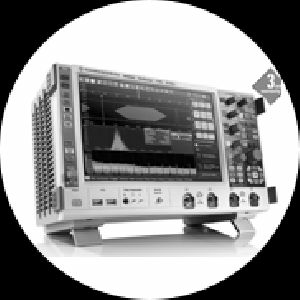 Ltd.
Scientific Mes Technik Pvt. Ltd.